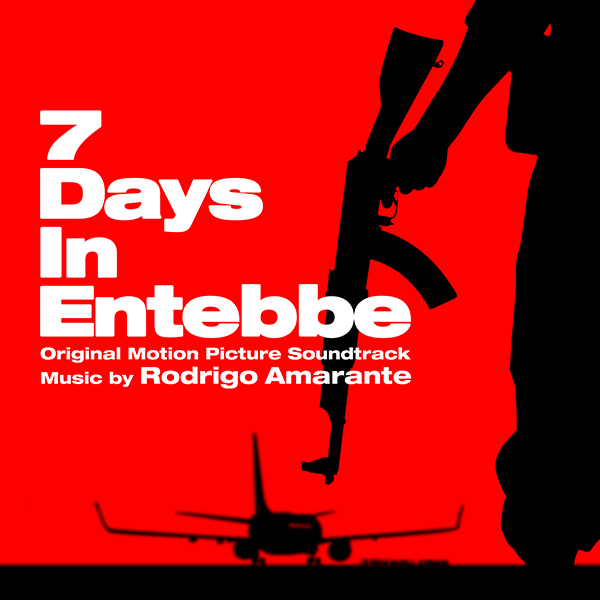 Lakeshore Records will release 7 Days In Entebbe – Original Motion Picture Soundtrack digitally on April 6, 2018 and on CD shortly thereafter. The album features original music by Brazilian composer/singer-songwriter Rodrigo Amarante (“Tuyo” from Narcos). A shocking act of terrorism leads to one of the most daring hostage rescue missions ever attempted in 7 DAYS IN ENTEBBE, a riveting thriller inspired by true events. In the summer of 1976, an Air France jet traveling from Tel Aviv to Paris is hijacked in midair by two Palestinians and two left-wing German radicals. When the plane is diverted to an abandoned terminal at Entebbe Airport in Uganda, the terrified passengers become bargaining chips in a deadly political standoff. As the likelihood of finding a diplomatic solution fades, the Israeli government sets in motion an extraordinary plan to free the hostages before time runs out. Combining vivid historical details with pulse-quickening suspense, 7 DAYS IN ENTEBBE is a powerful depiction of an international crisis that stunned the world. “There are two aspects of this story that I found useful to reflect in the score: one is that politics, no matter the scale nor the morals, is a tribal affair and as such it is filled with conspiracy and biased perspectives, prone to one sided views of the outside, especially of one’s enemy. For that effect I used more rhythm than melody mixing 70s German Experimental music sounds and feel with Middle Eastern and African flavors. Participant Media presents, a Working Title Films production, 7 DAYS IN ENTEBBE currently in theaters. Lakeshore Records will release 7 Days In Entebbe -- Original Motion Picture Soundtrack digitally April 6, 2018 and on CD shortly thereafter.